Design a publication that documents paintings completed by the Maryland Institute College of Art undergraduate thesis class. 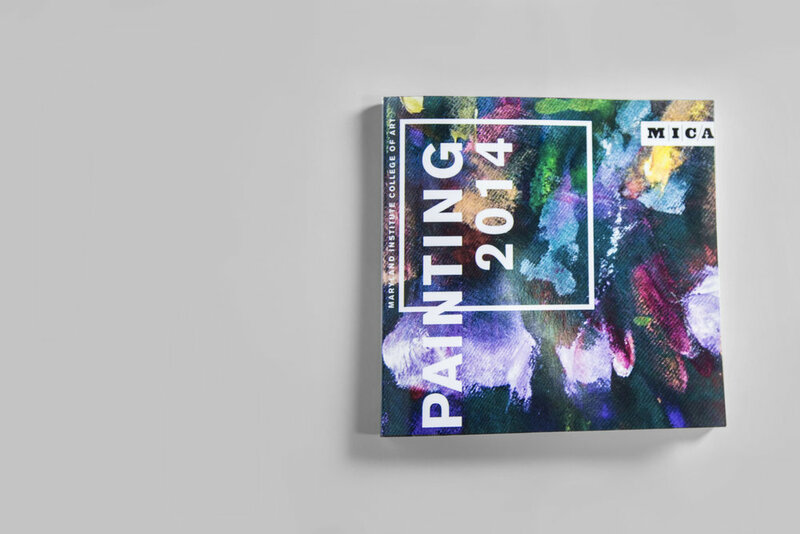 This publication documents students’ paintings completed by the undergraduate thesis class of 2014. Each artist was represented by a purpose statement and 1 to 3 images of their artwork painted during their final year. 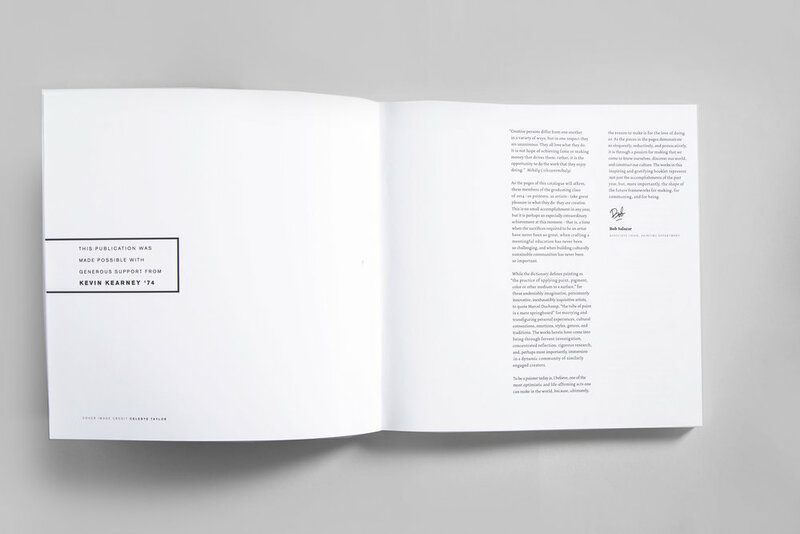 The department’s philosophy of nurturing each student’s approach to their work inspired the layout for this book.